Charming Waterfront Home on Sunset Lake ready for a new owner! 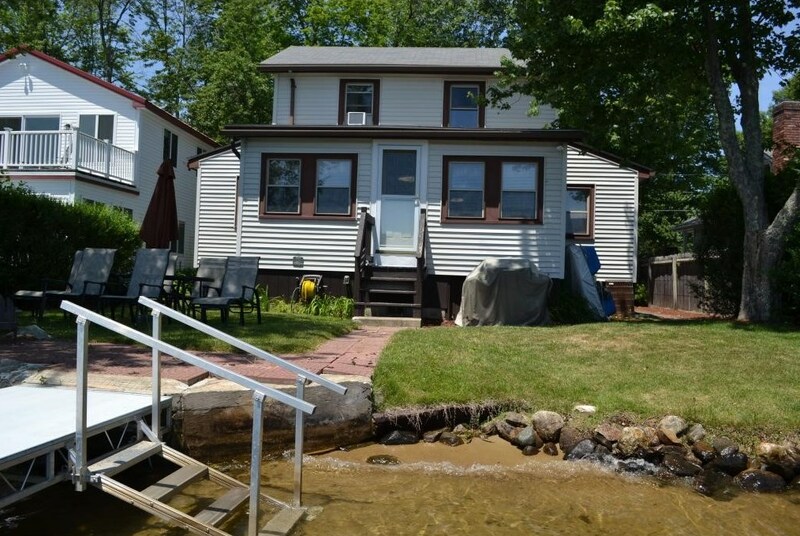 This home offers 55 ft of direct water frontage, 3 bedrooms, 2 stories of living, 2 year old heating system, central air conditioning, fenced property line, shed, generator hook up, roll in dock system and turn key opportunity fully furnished with all the appliances. Buy this home in time to enjoy summer on the water! Finished Total: 1,216 Sq. Ft. Finished Above Grnd: 1,216 Sq. Ft.
6 Edgewater Lane, Hampstead, NH 03841 (MLS# 4476530) is a Single Family property that was sold at $310,000 on September 23, 2016. Want to learn more about 6 Edgewater Lane? Do you have questions about finding other Single Family real estate for sale in Hampstead? You can browse all Hampstead real estate or contact a Coldwell Banker agent to request more information.